See below for the FIGMENT Boston artist participating in Boston's last evening of 2014, and ringing in 2015, with participatory art. If you want to share any of your event pictures, use hashtag #ffn15! Afterglow: Interact with a “mirror” and work together to create pieces of art. Apparent Horizon: An experimental audiovisual installation that uses visual anamor-phosis to play with the particpants’ sense of space in an immersive visual environment. An interactive multimedia project, an extension of the classic game Breakout; this version leaving the small flat screen and blown out into a larger­than­life experience on our immersive video dome. Celestial Scintillations: Intricately designed lanterns with beautiful curves play with light and shadow to provide a unique visual experience for participants while they enjoy the space underneath a tree. Elemental Mirror: An interactive installation that shows the participant re-portrayed through the lens of an element. Glowfa: Similar to a park bench with hundreds of LEDs embedded under a white faux fur cover. It create waves and patterns of moving color and generates enough heat to make the seat slightly warm to sit on, perfect for New Year's Eve on the Common. Happily Fortunes: An interactive conceptual performance art installation. Each audience member who wishes to, individually interacts with one of our performers for approximately 2 to 5 minutes. The audience will also have real cheerleaders celebrating themselves! Have a Ball: Interactive fun for all ages! Large translucent rubber balls hanging at various heights from a large frame filled with colored lights which light up upon impact. Inspired by the natural movement of large groups of smaller jellyfish in nature, but with an interactive element. 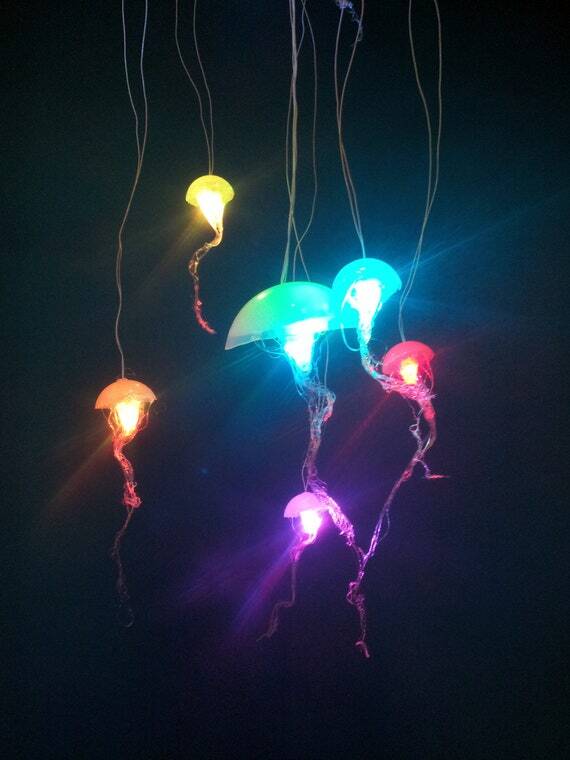 We envision a swarm of approximately 50 small jellyfish. Macrocosm: An interactive freestanding sculpture. The sculpture has two parts, one is the freestanding bud-shaped rig, the other is a mobile inside. Mixed Signals: Uses two arduino pulse-oximeter finger-clamps to capture heart- rate information between paired participants, being projected onto a screen for participants/bystanders to watch. Neon Icons: A tree lighting project that will bring something unique that most participants have not seen, especially in a public space. The ornaments will be easily recognizable, fun graphics that will effectively encompass this year’s First Night theme and will be appropriate for all ages. Reflection: Performers will offer the literal service of reflection to viewers via a handcrafted illuminated mirror harness mounted on the body of the performer. A new tradition of wacky holiday songs composed to coincide with weird mash-up videos. Presented on an enormous wall of CRT TVs, many screens for many revelers. Somatone: A multi-user collaborative dance-controlled musical instrument. Each dancer (participant) can control part of the soundscape, with the result that multiple people are required to fully experience all aspects of the music. Staple Synth: A one octave piano synthesizer that has office staplers replacing the ebony and ivories. Brings Art and Nature through the life cycle of Trees and Parks.